On 20 July, I predicted that private investigator, Glenn Mulcaire, would break his silence now that News Corp had stopped paying his legal fees. Well, I hate to say, “I told you so.”It is now sweaty palm time for somebody. The Guardian reported today that Mulcaire has “denied suggestions he acted without orders from the News of the World”. Meanwhile, Sara Payne, mother of eight-year-old Sarah who was abducted and murdered in 2000, has revealed she is “very distressed” after being informed her phone may have been hacked. So will Glenn Mulcaire finally reveal all? So News Corp is to stop paying the legal fees of private investigator, Glenn Mulcaire, who was jailed over the phone-hacking scandal. Well, there must have been a reason why the company started paying for his legal team in the first place. Mr Murdoch senior appeared both surprised and annoyed at this disclosure. Indeed, throughout his time before the Culture, Media and Sport committee and, in particular, under Tom Watson‘s eagle eye and no-nonsense approach to questioning, Mr Murdoch’s feathers were more than ruffled. What was startling was how little he appeared to know about the machinations of the News of the World even if it is just a bit player in News Corp.
No wonder the media titan admitted to feeling “humbled” before the committee. Since so many puns have been written about the pie incident, I see no need for me to add to them. Anyway, back to Mr Mulcaire. 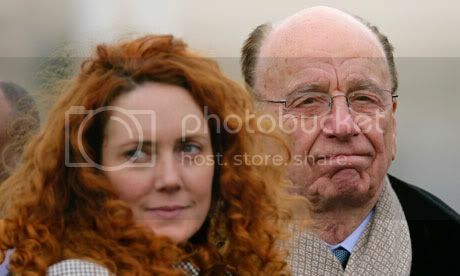 Notice how I have made no mention until now about Mr Murdoch’s son, James, and Rebekah Brooks. This is because they apparently knew nothing about what was going on at Britain’s biggest selling newspaper……. Anyway, back to Mr Mulcaire. I know, I know, I am repeating myself. All eyes are agog and ears pricked up in preparation for the investigator breaking his silence. 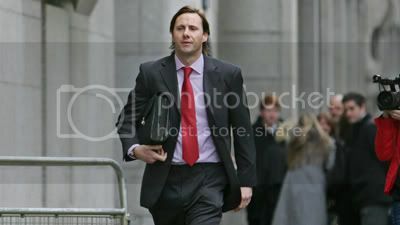 His fees would easily have run into hundreds of thousands of pounds …. Once again we are back to who “signed-off” on releasing the funds for his fees. Come to think of it, we still do not know who paid him in the first place to hack into the phones. We also wait with bated breath to see what Harbotte and Lewis, the law firm used in 2007 to investigate the phone-hacking at the NotW, will reveal now that News Corp is allowing it to talk…. Goodness! 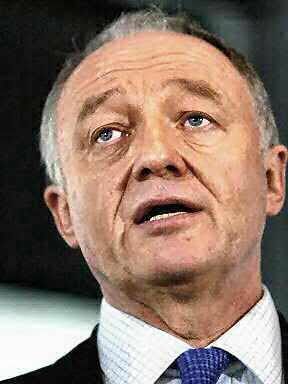 They are dropping like flies…..
“This can’t be the first resignation…,” Ken Livingstone talking to BBC News 24 about the shock resignation of Metropolitan Police Commissioner Sir Paul Stephenson. Mr Livingstone also indicated that others within the met should be off too. Sir Paul could not have predicted that a few weeks of “R and R” at the glamorous Champneys would leave his glittering police career in tatters on one miserable, wet Sunday evening in July 2011. How the mighty are being wiped out by the NotW scandal. I have to admit when this whole saga began unravelling at alarming speed almost two weeks ago, I could never have predicted the whirlwind would have swept up so many high-profile figures. It is no longer a question of what will happen next but whose head will be next on the chopping block. Anyone else either directly involved or connected in any way to this saga must now be viewing this as a reign of terror. 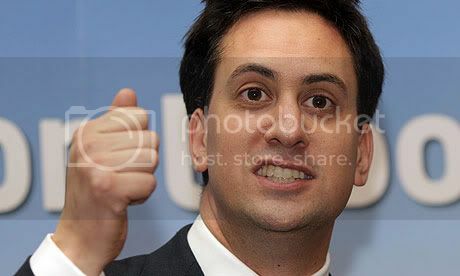 Maximilien Marie Isidore de Robespierre would have been proud…..
No doubt buoyed by the latest developments which have seen Rupert Murdoch fly to the UK and apologise in person to the Dowler family and Rebekah Brooks arrested, Ed Miliband is now calling for plurality in the media. Interestingly, he has the firm backing of Nick Clegg who outlined the need for it, along with “diversity” and “accountability” in the media, on Andrew Marr this morning. Anybody would think the close relationship between the press and politicians is something that has recently occurred in this country. Neither is it unusual for one man to own a substantial amount of the press. William Maxwell Aitken (1879-1964) the first Lord Beaverbrook, made his mark in newspapers, politics and finance. Apart from having a successful parliamentary career – he was one of only three men to serve in the cabinet – he acquired the majority shareholding in the Daily Express and the Evening Standard. Lord Beaverbrook also courted his fair share of controversy. The point I am trying to make, if you had not already realised, is that I doubt that there has ever been a time when parliamentarians did not rub shoulders with journalists and their editors. After all, at least half of them would have attended the same schools and universities – Oxford and Cambridge. I am all for more transparency but we must be realistic about what is actually possible without going to extremes to make a point, especially a political one. Why did Rebekah Brooks choose today to resign? Rebekah Brooks will certainly not be forgotten by Milly Dowler’s family or the 200 News of the World journalists who are currently filling in Job Seekers Allowance forms. I thought I would let the dust settle – hence no post yesterday. I do not claim to have an oracle but something told me someone or something was about to give. Yesterday morning the wise and much-respected former editor of the Guardian Newspaper, Peter Preston, appealed for calm as other voices were calling for ways to muzzle “The Press”. Later on Tony Blair talked about “getting everything out in open”. This from a man who apparently “doesn’t do God” but then promptly converts to Catholicism after leaving office. The words “kettle” and “black” also spring to mind come to think of it…. I am not even going to mention the so-called “dodgy dossier”. Then the Huffington Post reveals the FBI is to launch an investigation following reports alleging the phones of 9/11 victims may have been hacked into. Meanwhile, father and son Murdoch make a surprise u-turn after refusing to appear before a parliamentary committee next Tuesday, and leaving the beleaguered Mrs Brooks to take MPs’ questions on the chin. Finally, one of the richest men in the world who just happens to own a staggering seven percent stake in News Corp – making him the second largest shareholder – grants Newsnight an exclusive interview. Saudi Prince Al-Waleed bin Talal stated the News International chief excecutive would have to resign if there was any sign of her involvement. Lo and behold Rebekah falls on her sword the next morning and her successor is swiftly announced. Of course, we can all speculate until the cows come home but it is likely we will never actually discover why she chose to leave when she did……..